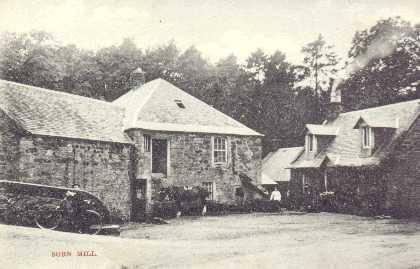 The old meal mill closed for good at some time before 1927.The building was converted for use as the church hall, and it is still in use today. 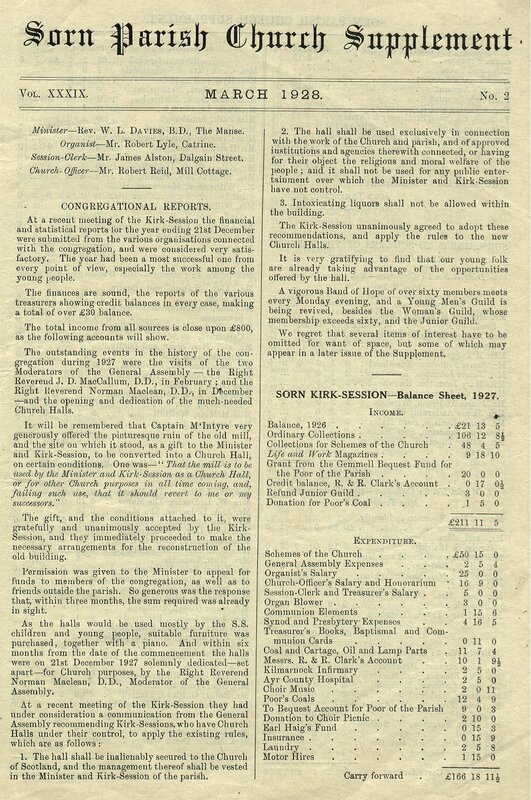 Sorn Parish Magazine of January 1928 reported that on Wed 21st Dec 1927 the hall was declared open by Mrs McIntyre of Sorn Castle. 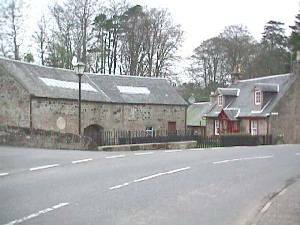 1) The hall shall be inalienably secured to the Church of Scotland, and the management thereof shall be vested in the Minister and Kirk-Session of the parish. 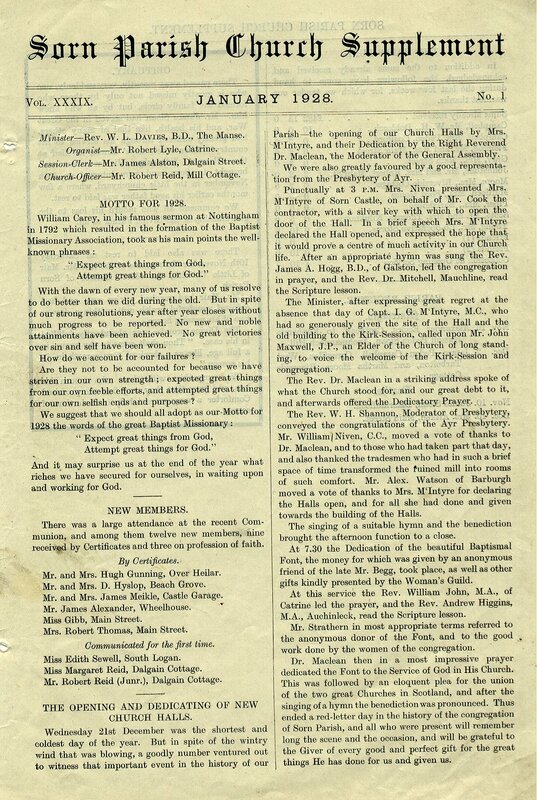 2) The hall shall be used exclusively in connection with the work of the church and parish, and of approved institutions and agencies therewith connected, or having for their object the religious and moral welfare of the people; and it shall not be used for any public entertainment over which the Minister and Kirk-Session have not control. 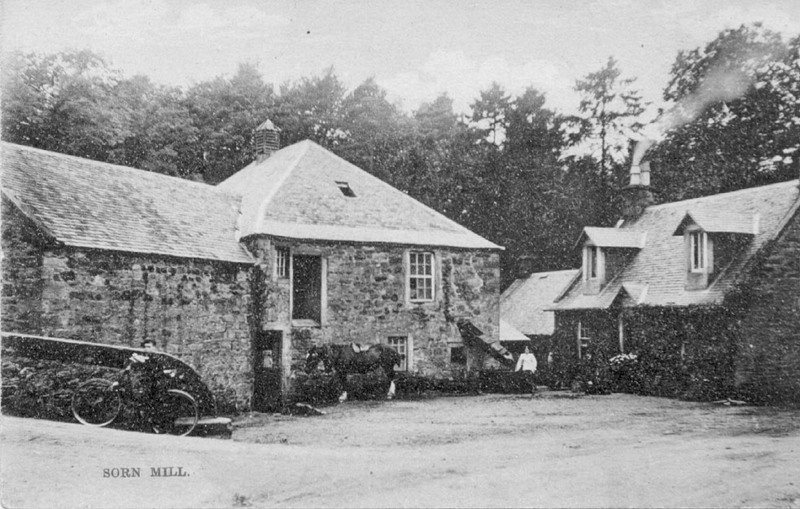 The "Meal Mill" taken from the Castle Grounds, on the opposite side of the river from the "Church Hall". The date on the back of the left hand image is May 26th 1912. 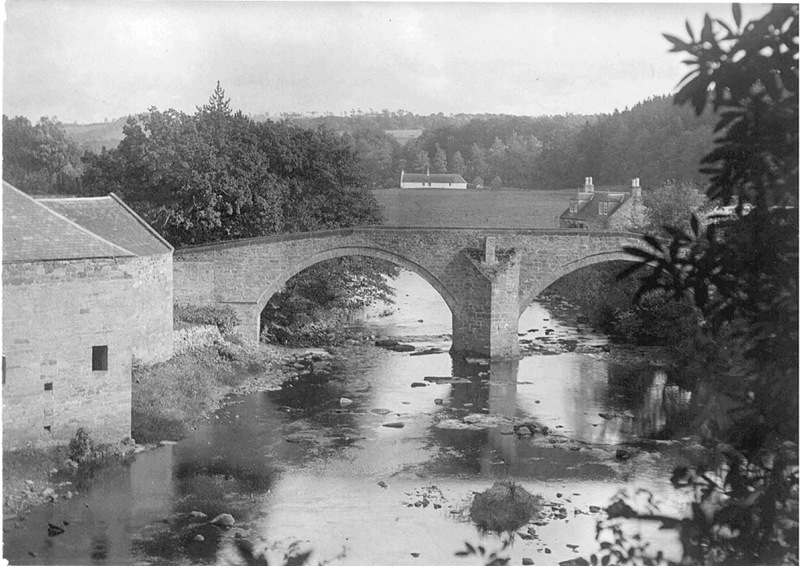 Note the presence of the shed built against the bridge, which in the right hand photo is only a line. 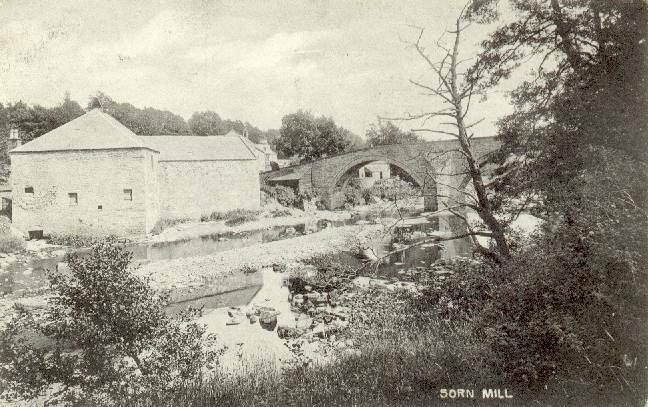 The angle looks very similar, yet Lint Mill is off to the right of the image, and the dormer window is that of what is now Morton's Garage, on the North (village) side of the river. 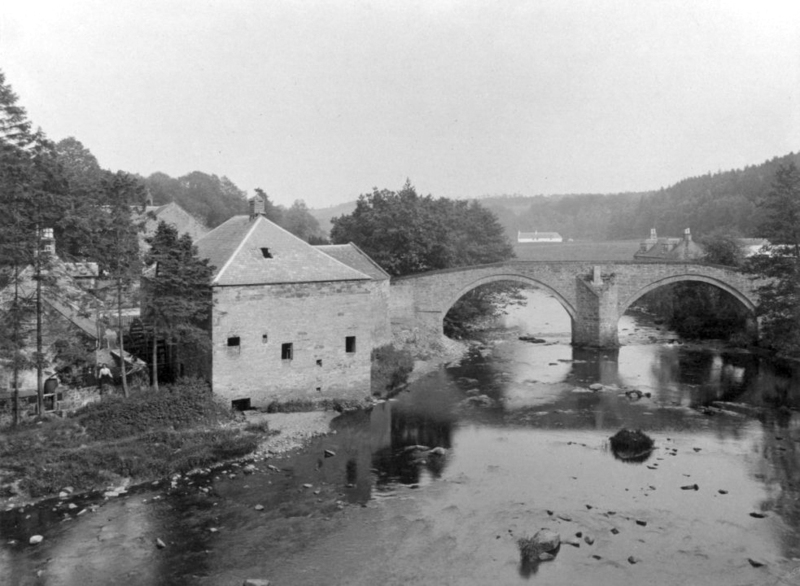 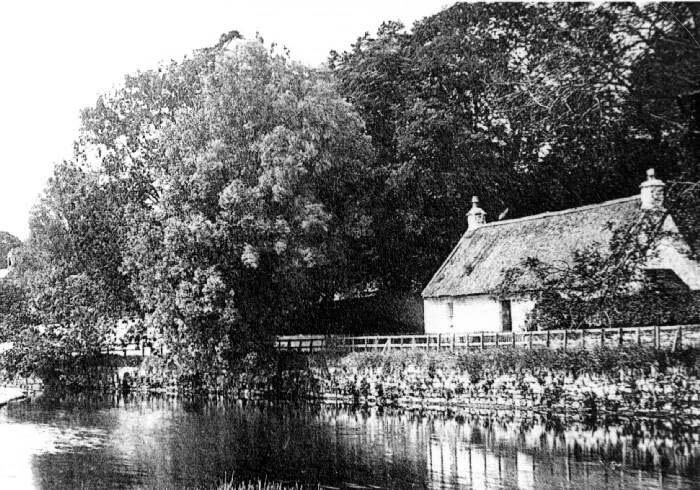 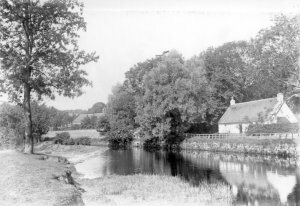 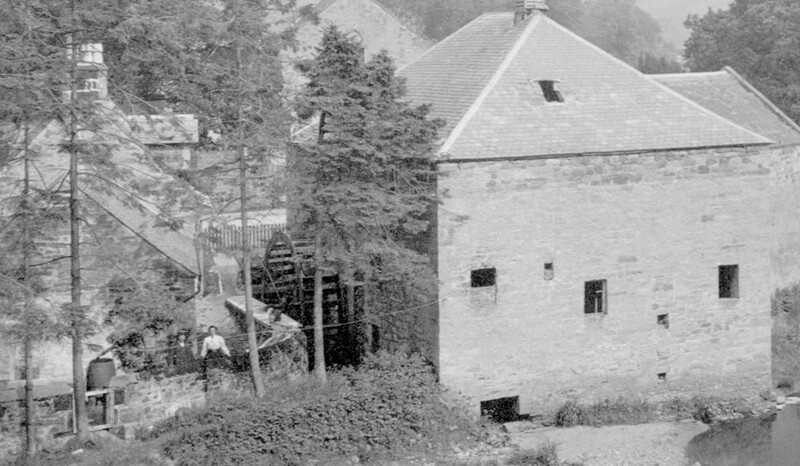 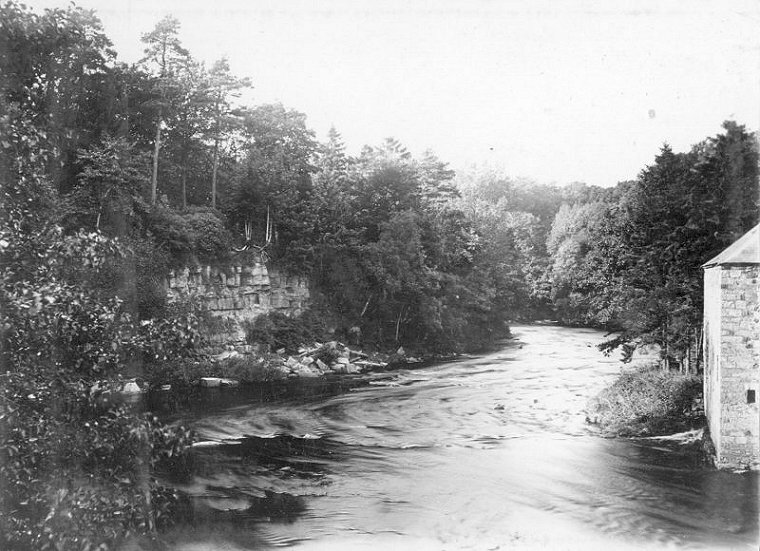 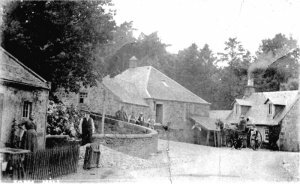 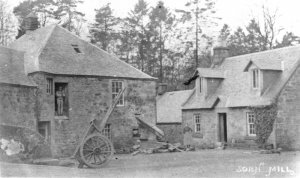 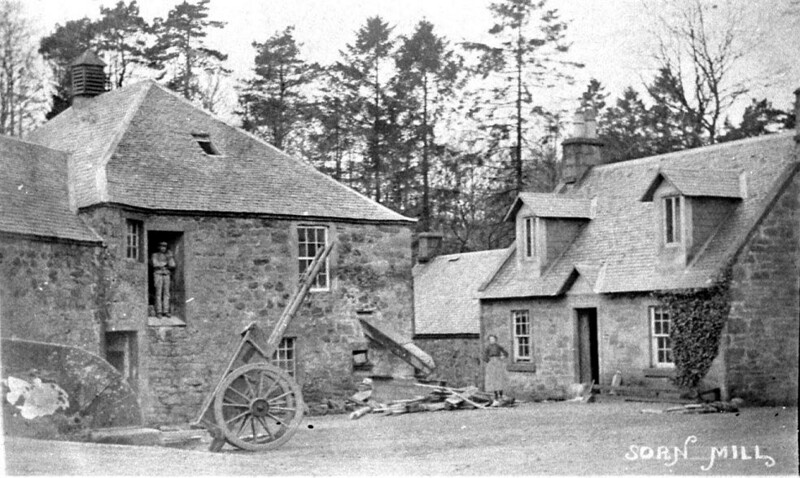 Left: This is the only known image of the old mill wheel on the left of the building. 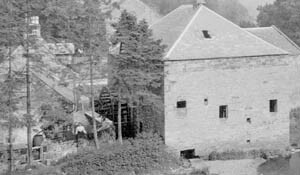 Right: A closeup of the image above, of the mill wheel. Left: Sorn Mill, from across the river. 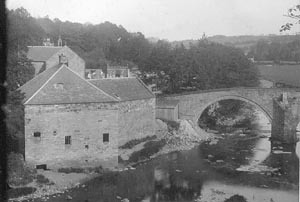 Ladeside is seen through the left arch. 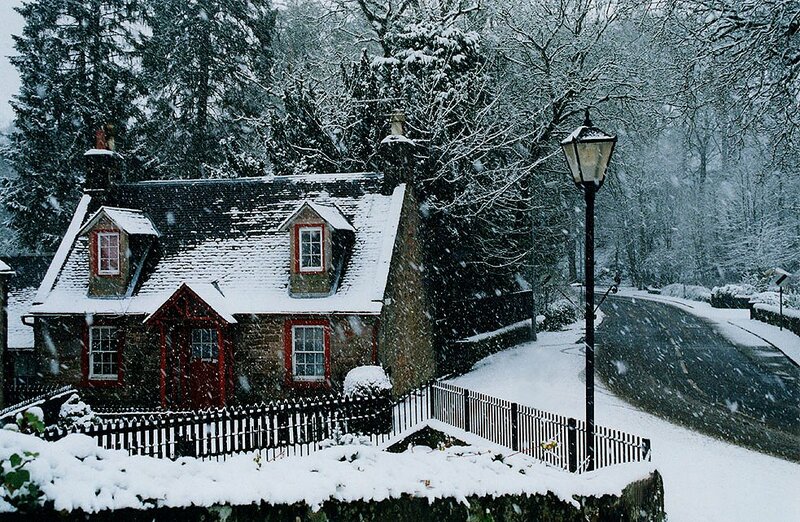 Right: A winter scene at Mill Cottage in recent years. 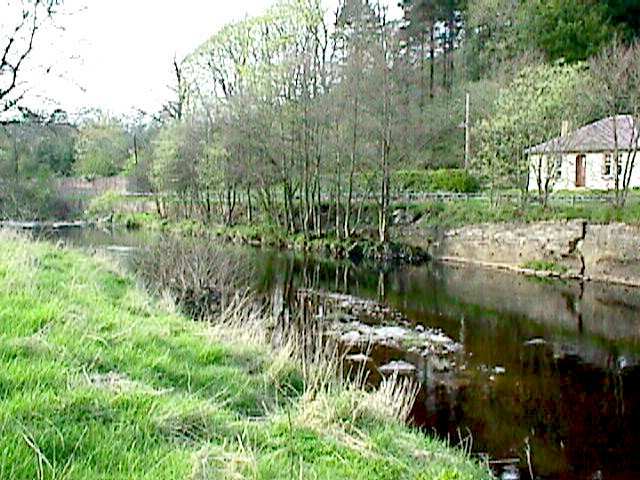 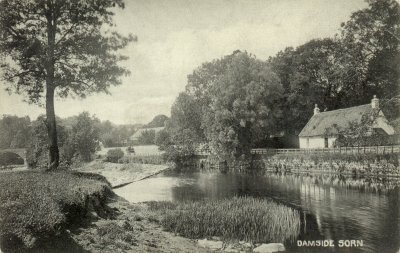 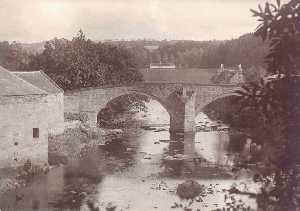 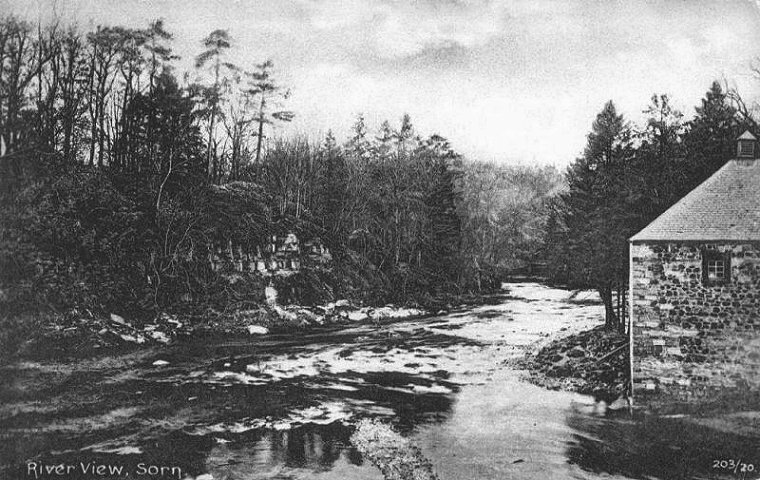 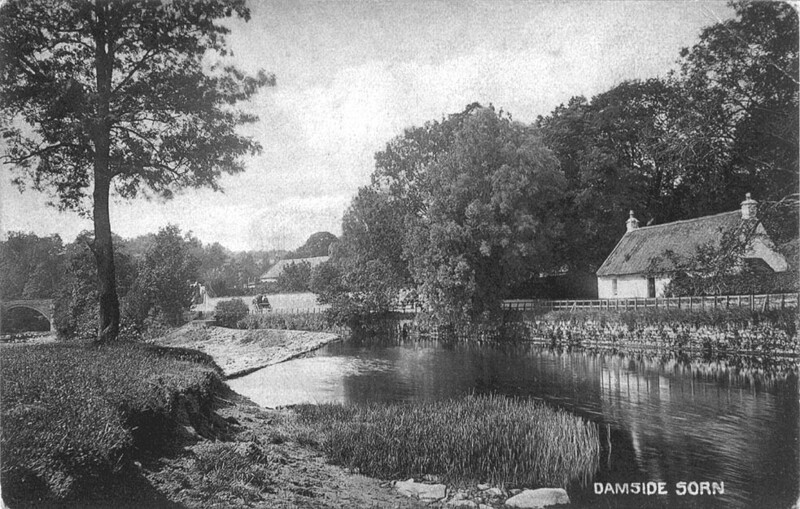 An image of the dam which fed the Sorn/ Dalgain Mill. 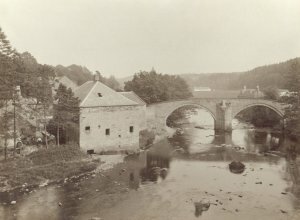 Left is an old postcard, and right an almost identical view, taken by John's grandfather in the late 1800s. 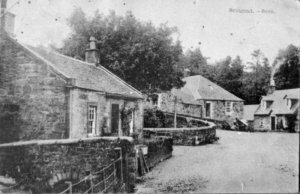 The house which is there now, as in the 1998 shot on the right, is called Craigend, and sits to the right of where Damside used to be. 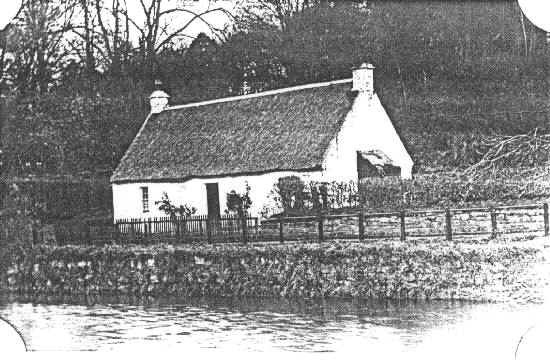 A close up view of Damside Cottage, which sat between the current "Roadman's" house, and the Manse Road end. 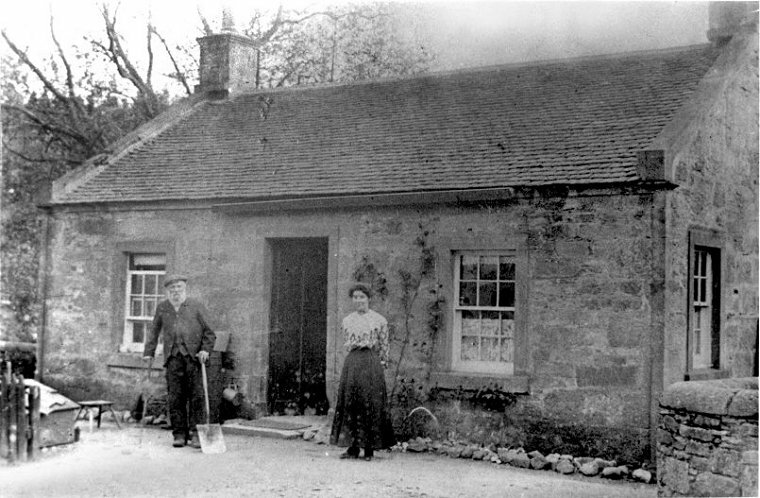 The Roadman's house was called "Davie Morrison's hoose" for years. 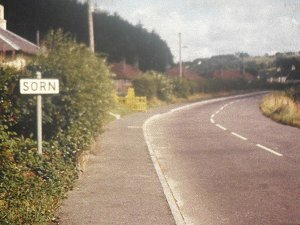 A photo sent by Jen Gibb of Winnipeg in 2010, showing the old Sorn sign from the 1970's and Craigend / Davie Morrison's hoose is to the left. 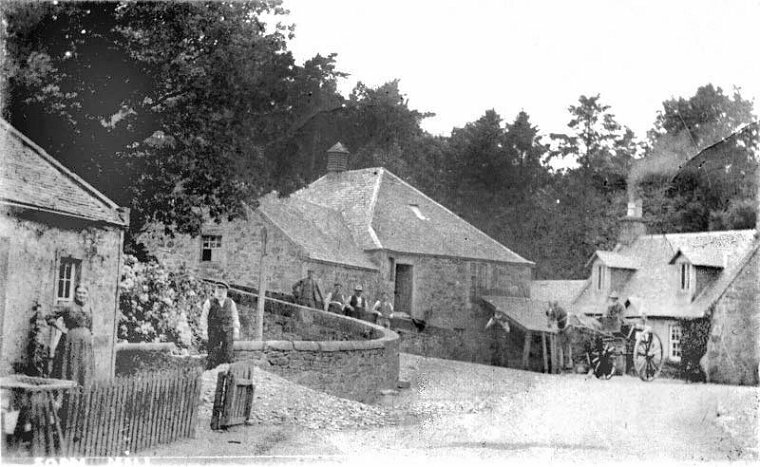 You can just see the Greyhound top right.